We know this: early experiences matter. For more than 90 years, our faculty and students have been working together to increase knowledge about human development. But our work doesn’t stop there. At the Institute of Child Development (ICD), we’re also dedicated to solving real-world challenges that affect people at every stage of life. We prepare our students to bring science-based solutions to classrooms, communities, and families. Take your next step with us. Discover how you can make a difference in the lives of children and youth. Join our community. Get news and event updates. ICD Director Megan Gunnar, Ph.D., is dedicated to understanding the complex set of experiences that allow a child to thrive. We're home to one of the longest-running laboratory schools in the nation. 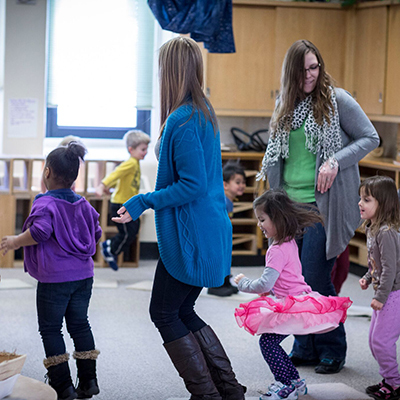 Are you an aspiring early childhood educator? Train right on campus. See yourself as a future researcher? Work with the Lab School to bring your study to life.